UPWIFT presents: A Celebration of the First Woman Filmmaker, Alice Guy-Blaché - Upstate Films, Ltd.
Three short, silent films representative of the first director’s work will be presented, together with original compositions by Tamar Muskal: A House Divided, Fool and His Money, Falling Leaves. Sunday December 11 at Upstate Films Rhinebeck. 1:00. Alice Guy-Blaché was the first female film director and the first film studio owner. 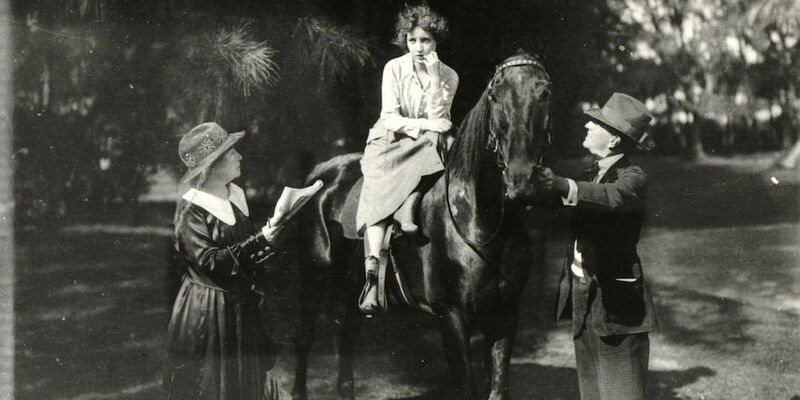 She made her first film, by her own account, in 1896 at age 23. She went on to write, direct, or produce more than 1,000 films. Alice Guy-Blaché was not only the first female director, but the first director to implement cinematic techniques during the dawn of the art form, such as the use of the close-up and directing actors to play non-theatrically. She had signs in her studio that reminded actors to “Be Natural.” She can be considered the first director (male or female), because she was the first to give direction to actors and to separate her role from the cameraman. Surprisingly, this pioneer of cinema was largely forgotten for decades. A unique part of the presentation will be a Q&A with producer and director Pamela Green, who is currently making a feature full-length documentary film about Alice Guy-Blaché for which she has been conducting extensive research for the past five years with an amazing team of detectives . (The Q&A will be Skyped in live from L.A.) Ms. Green’s efforts have made many new discoveries that change the way early cinema is known. She has secured support for the restoration of films by Alice Guy-Blaché, as well as the creation of an archive. Audience members will have the opportunity to view never-before-seen sneak-peeks from Ms. Green’s documentary.